This entry was posted in Recovery & Support and tagged Addiction, Co-Occurring Disorder, Overcoming Fear, Support on June 13, 2016 by Baxter Ekern. So is he blowing smoke? Living a fantasy? Or is he accurate? There are few things harder to recover from than addiction – let alone co-occurring addictions – and family support is incredibly helpful. Unfortunately, many struggling with addiction have experienced shame, heartache and negative reactions to an initial addiction, and they understandably fear the disclosure of another disorder! When you are suffering, it is ultimately in your hands to do something about it. This is important in addiction recovery and the backbone of honesty. Hard experiences and painful emotions often accompany disclosure and recovery, yet once you have named the problem, you can begin to deal with it. 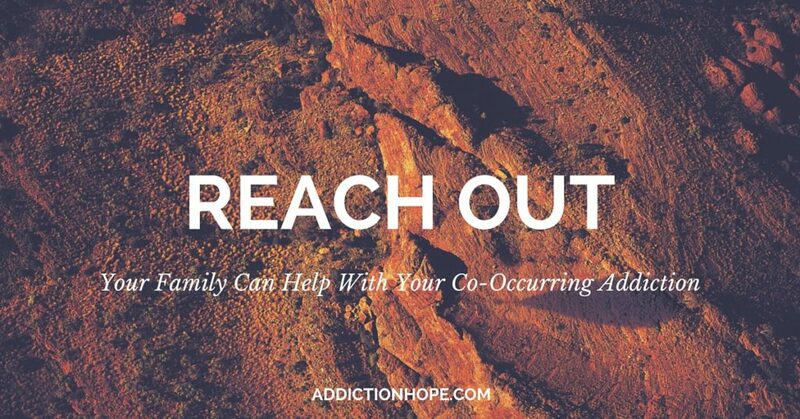 Addiction and its accompanying emotions are best dealt with within a community – in a family. Without secrecy to fuel isolation, one of the key barriers to recovery is squashed. Admitting struggles, insecurities and access points allows people to help you recover. This also opens the door to facing and starting to expel the shame that comes with co-occurring addiction. It is important to consider that not all families are supportive, helpful or caring. Disclosing addictions is recommended if others will be able and willing to listen, support and engage you. If your family is abusive, degrading or inflammatory, it may not be a good decision. In this case, community is still vital, but it might have to be found in other places. A counselor can help you discern if your family is the safe and helpful support you need for recovery. Given This Backdrop, What Elements Should Be Included In Your Disclosure? As mentioned above, honesty is key. If you have disclosed a previous addiction, you might feel as though you don’t need to go into all the details, or assume that others understand how you are feeling. This isn’t likely to be the case, or the best practice. Disclosing your addictions in their fullness will allow you to take responsibility for your part in using addictions to cope, while also allowing you to admit what you need to change. If you don’t speak honestly, it is hard for people to know if they can trust you into the future, and therefore they may not support you as you need. Honesty will start to establish the trust that is often eroded by secrecy, isolation, lying or hiding that often comes with addiction. You will be best served by disclosing everything at once. Your family’s reaction may range from relief that a problem has been acknowledged to being furious at the hidden betrayal. Yet, the full spectrum of information allows them to react honestly and provide appropriate care and resources. Fighting a partially disclosed addiction is difficult because vital resources may be missed, or harmful effects neglected. As you disclose the co-occurring addiction, it is worth considering what you feel you need. This may be supportive, proactive participation from your family, or for them to allow you space to unpack your emotions. Your needs may also be very practical, such as, “Please help me find a rehabilitation program.” You may have no idea what you need. In which case, let them know this and ask them to help you consider what you do need for the journey ahead. Many families will have questions, concerns and even accusations. While honesty is key, so is your sense of integrity. It is usually a good idea to let others know what led you to the addiction, if you know, or explain the pathway that got you there. 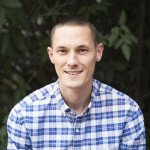 However, you don’t have to justify yourself in response to questions like, “What were you thinking,” or, “Wasn’t there another way you could have dealt with this?” In these situations, it is worth reiterating that you are asking them for support and care as you figure this situation out and that you don’t have all the answers right now. Clearly assert that you are asking for support in recovery, honesty and building trust. This may be a hard step that makes you feel embarrassed, ashamed or needy. You may have to ride the wave of this emotion, but “stick to your guns” knowing that you do need support in recovery. When you ask for support, admit the current state of the addiction – that it is unmanageable and that you recognize it has, and will, impact the family. Addictions always impact the family. You may need time to explore how, and to own this fully. Let your family know that you need accountability, even though it may come from outside sources. It is important for families to hear how seriously you are taking recovery. Let the family know where you are looking for treatment, or ask them to help you find treatment. This is a big part of taking responsibility. Ask the family to deal with their emotional reactions as they need to – rather than putting onto you. You can acknowledge you have caused pain and distress, yet they need to remain responsible for their emotions, just as you need to be responsible for your own. Both you and the family may need outside support to deal with your emotions so that you can effectively care for one another. Finally, thank them for listening, and be assured that you are taking healthy, proactive steps. What has been your experience with sharing your struggles with addiction? Who have you confided in, and why did you choose that person? : Viscott, D. (1996). Emotional Resilience.